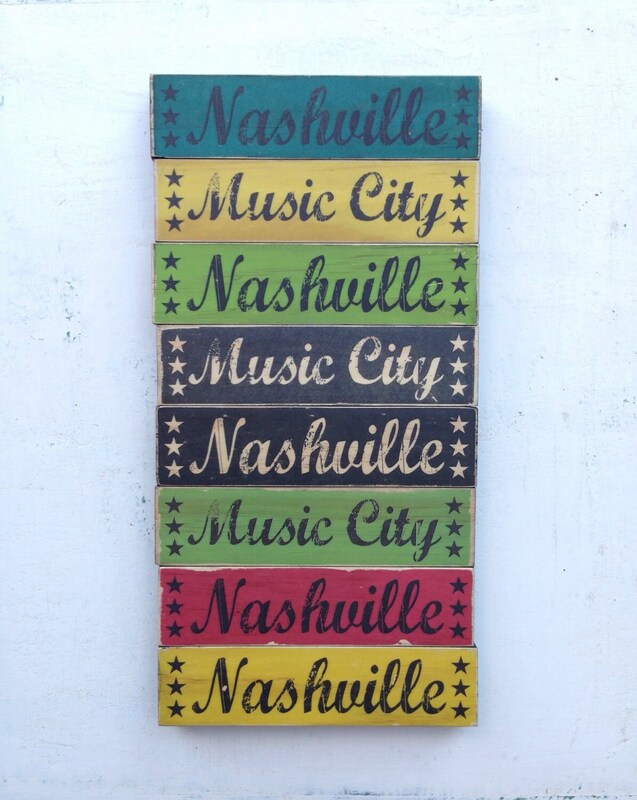 CITY STACKS - Art Blocks that let you tell where you've been or where you want to go! 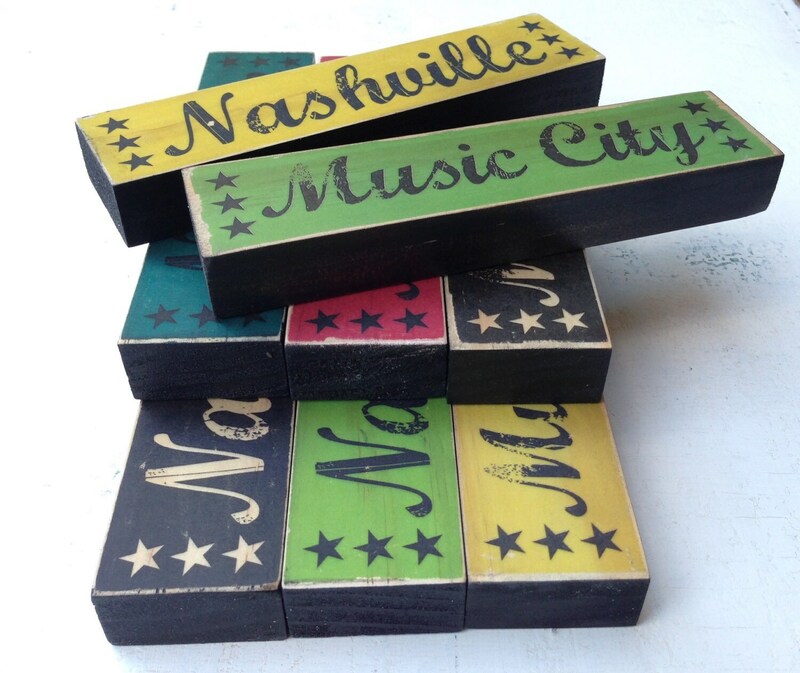 These art blocks say "Nashville" & "Music City", but they are easily customized for any city (or any word you'd like). 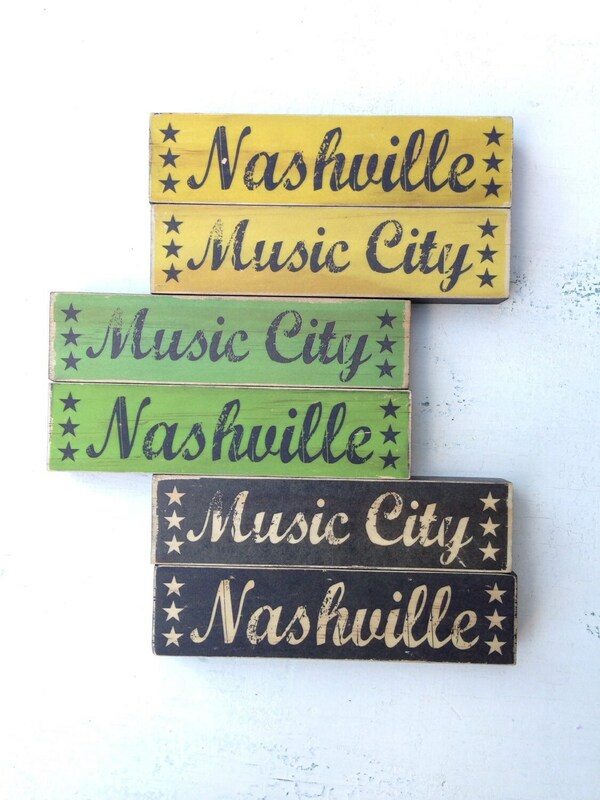 Stack them up to three high (any more and they may tumble) and show your love for your favorite cities! Perfect gift for that person who has everything, because they surely don't have these! Painted black on sides and the back, slightly distressed all over, sealed with a matte/light sheen finish. 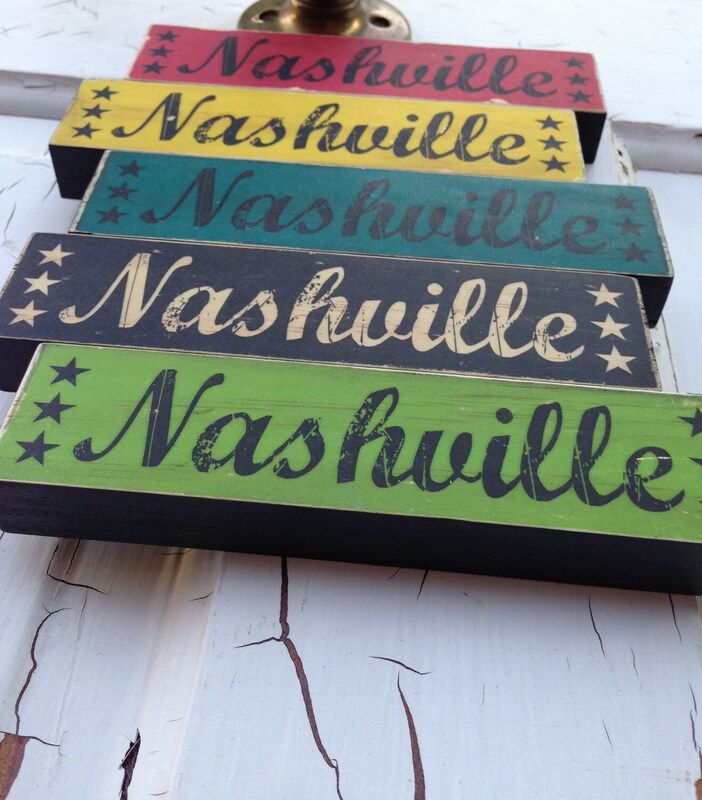 NOTE: Listing is for TWO Blocks - "Nashville" & "Music City"
One Block: 6" X 1.5"
♥ WANT CUSTOM? 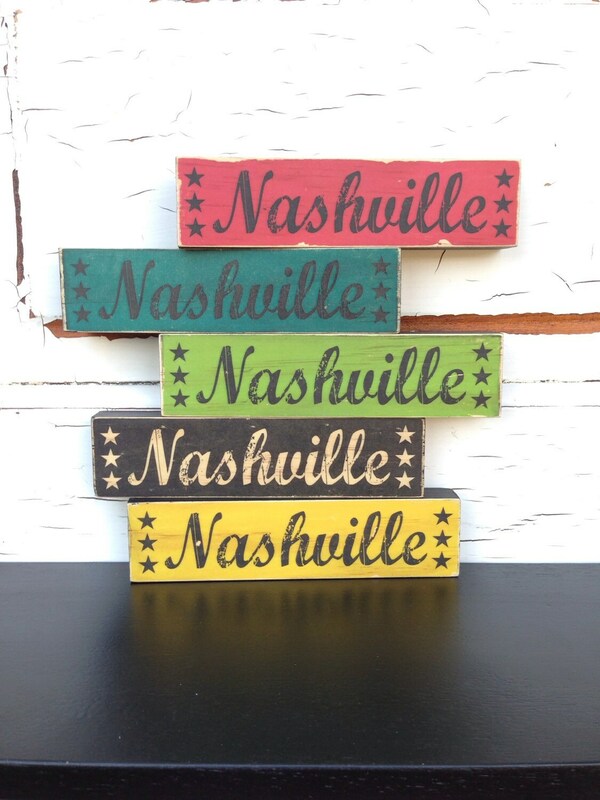 This piece CAN BE CUSTOMIZED with your favorite city (or even a custom word). You will receive a proof for your approval prior to your custom personal block(s) being completely finished.